The Murray Symphony is honored to premiere “Ten-Mile Day”, a new composition by Utah composer Dr. Marden Pond. This is a composition that celebrates the 150th anniversary of the Golden Spike and the Transcontinental Railroad.When Abraham Lincoln signed the Pacific Railroad Act of 1862, the race to complete the transcontinental Railroad began. The Union Pacific started in the East and the Central Pacific in the West. Through heat and cold, mountains and desert, the workers worked hard. A six-mile day was amazing. On April 28, 1869, in response to a bet, the Central Pacific Railroad accomplished the impossible by laying 10 miles in a day.Dr. Marden Pond is an emmy-winning composer, arranger, conductor, and educator. He has also created music for symphony orchestras, choirs, the ballet stage, film (including the Emmy Award-winning film, The Shadow Of Light from Milestone Productions), video productions, video laser disc, modern dance groups, & a wide variety of chamber, studio, commercial and recording ensembles. He has conducted numerous musical ensembles - professional, recording studio, community, educational. He arranged and conducted music for a special performance in Arlington National Cemetery on the one-year anniversary of the 9/11 attack on the Pentagon.The Murray Symphony was one of the first community orchestras in the Salt Lake Valley. 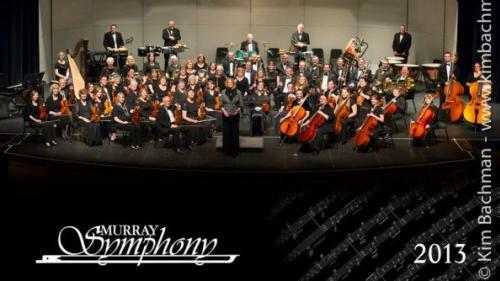 These talented musicians volunteer their time and talents to enhance the arts in Murray City. This concert will also feature other original compositions and concertos excerpts played by members of the Murray Symphony, including a double clarinet concerto and a tuba concerto. come hear the classic and the unusual. 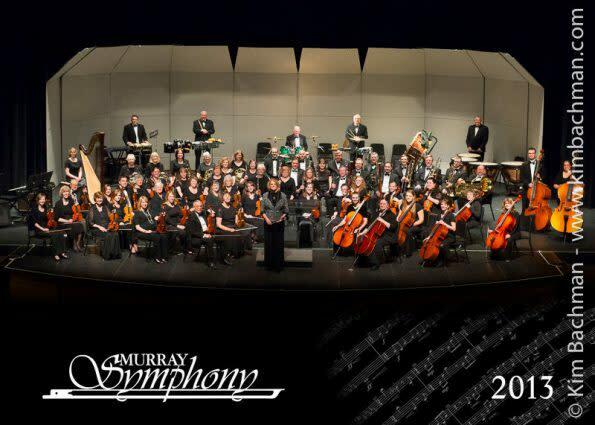 Celebrate Murray!April 27, 2019 at 7 pm at the Theater on 53rd at Hillcrest Jr. High School (178 East 5300 South, Murray UT). Tickets available at the door: general admission $6, children under 10 free.